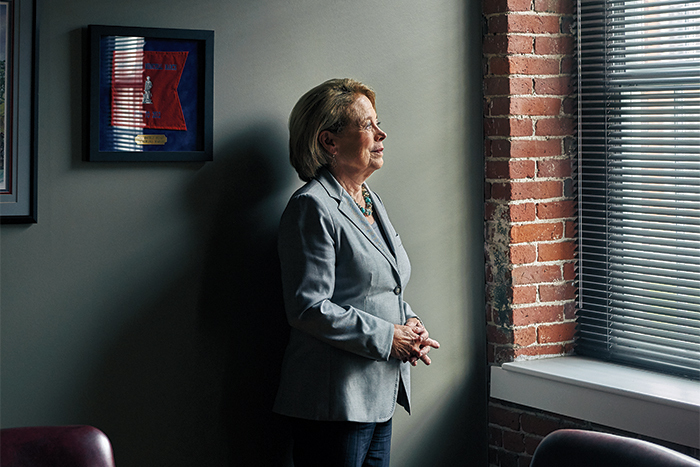 “A woman’s voice needed to be part of the national conversation.” That’s what inspired Niki Sauvage Tsongas ’68 to become the first woman in 25 years to serve Massachusetts in Congress. Here she reflects on a life in politics. after more than 10 years in the U.S. Congress, where she leaves her mark as a fighter for gender equality and an influential member of the U.S. House Armed Services Committee. 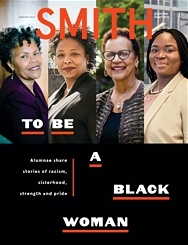 Niki Sauvage was still at Smith when she met and eventually married Paul Tsongas, who would go on to become a Democratic senator for Massachusetts and an eventual presidential candidate. Niki went to law school and founded the first all-woman law firm in Lowell. 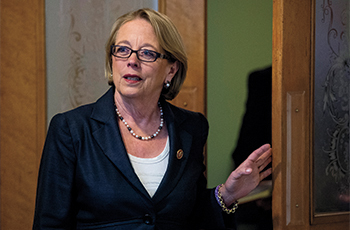 During this year’s September primaries, Tsongas will watch from the sidelines as a crowded field of candidates, including many women, vies for her seat in Massachusetts’ 3rd Congressional District. Here, she reflects on her political career, which formally began in 2007, when she was elected to the same congressional seat once held by her husband, who died in 1997. What made you decide to enter politics? In 2007, Congressman [Marty] Meehan was invited to be chancellor of UMass Lowell. Over the years, I had been frustrated by the fact that Massachusetts hadn’t sent a woman to Congress in 25 years. In an instant, I decided I was going to run for Congress. I felt strongly that a woman’s voice needed to be part of that national conversation. How did your education at Smith prove helpful? By going to Smith, you learn to use your mind. Once you get to Congress, it requires a commitment to learning above all else, because you are going to be exposed to so many issues of importance that you have to dig in and learn about. If you’re going to do that with a closed mind, you can’t really serve your constituency well. That I was the first woman in Massachusetts in 25 years to be elected to Congress. And then that we were able to elect another woman to Congress and then our first woman U.S. senator in Elizabeth Warren. So it just shows that once one does it, it opens the door for others. I’m proud of that. Women can’t win if women don’t run. seriously. I found a partner in Republican Congressman Mike Turner of Ohio, and together we fashioned legislation year after year and made real progress. What I most regret is that as a body, we in Congress have not been able to wrestle with climate change. That’s an issue that gets harder and harder to solve the longer you wait to get started. Also, as we are in the throes of this debate over immigration, I regret that we have not been able to resolve this through bipartisan immigration reform. What advice would you give to women entering Congress now? Just know that you’re going to bring a voice and attention to issues that may otherwise be neglected. For instance, during my service on the Armed Services Committee, we had a hearing on body armor. We had put a lot of money into developing body armor that has served those who are in the military well, but it is very heavy. I asked if we had ever developed body armor for women, and the answer was no, despite the fact that 15 percent of our military is now female. Well, that year, in the National Defense Authorization Act, I inserted one line challenging the services to develop body armor tailored to women’s bodies. And the next year, I was trying it on. Why did you decide to step down now? It has been a real honor to serve in an era in our history that I could not have imagined when I first took this seat. Last summer, I realized that my family and I had been doing this for 50 years. Given the changes that are happening in this country, we need new blood and new ideas. My children [three daughters] are all married, and I have three grandchildren. I turned 70, and there’s a moment where you realize life is finite; I just wanted to have a little more control over my days. My one hesitation is the deep disagreement I have with our president over so many issues—if not everything—but in the end, my decision was very personal. Do you intend to stay politically involved? I’m just starting to think it all through. I do plan to spend time with my grandchildren and to rekindle friendships and my love of travel. (I hope to get back to Paris!) But I will also look at all that I learned in Congress and find new ways to put it to good use. Stay tuned. Debra Michals is director of women’s and gender studies at Merrimack College in Massachusetts.